I worked at several branches of Siemens on different projects. Most of the time I was based in Munich. Worked on the development of an ATM-Switch. My task was the integration of the real-time operating system, which was pSOS, from Integrated Systems. This project involved writing software in C++. Implemented regression test software which ensured that the real time operating system was operating correctly in the target environment. Worked on the development of software for automation machines, which place electronic components on printed circuit boards. This involved writing software in C for the RMOS real-time operating system. 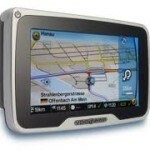 Development of a GPS vehicle navigation system. Wrote several patents, together with colleagues. Worked on the built in test and documentation for this air traffic control system. My documentation became part of the official documentation for this system. Made some software updates to the built-in test, which was written in assembler. I offer contract software services. If you are interested, please use the contact form.